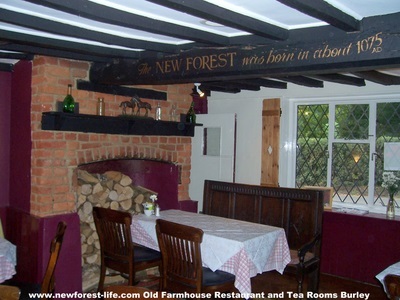 New Forest Tea Room Old Farmhouse Restaurant Burley. 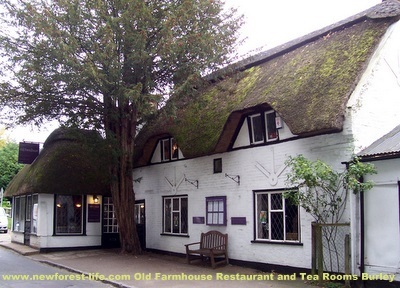 We recently revisited this lovely, traditional, old New Forest cottage tea room and restaurant in Burley, and were very impressed. It has been a Tea Room for over 100years! Peter and Cathy Cutler are the present owners and they certainly offer excellent quality food at good prices. We had a lovely Ploughman's lunch and saw lots of other delicious food on other peoples plates too. Huge choice of menu; starting at breakfast and going all through the day. The Restaurant is open on Friday and Saturday evenings too. Large car park - Burley gets very busy so this is a big plus! 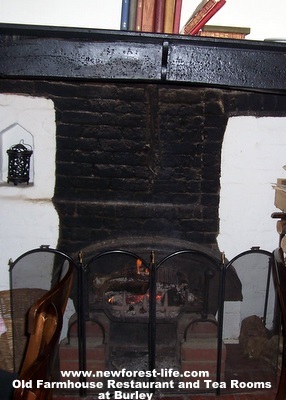 Speciality events including Murder Mystery and a great Christmas menu choice too. If you sit at one of the window seats at the front be prepared for a New Forest pony, donkey or cow to wander past! 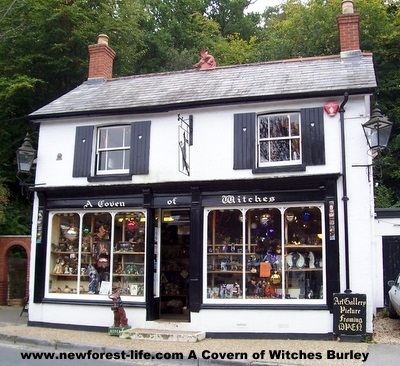 Visit the shops, many of which have a witch theme!